The easiest way to clean and condition hair without running water. Leaves hair feeling clean, soft and healthy. 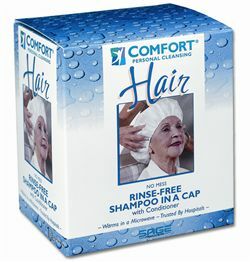 Everything needed for a soothing, warm no rinse shampoo is contained in an easy-to-use, disposable cap.